There has not been a fatality in the Grand National since 2012. For that we should be extremely thankful, not to some god but to the skill of the jockeys, the fine preparation of the horses by the trainers and their staff, the sensible changes that have been made to the race and a bit of good luck. But if one or more of the runners don’t return to their box on Saturday night the sport will come under far more intense scrutiny than it did when that last happened. 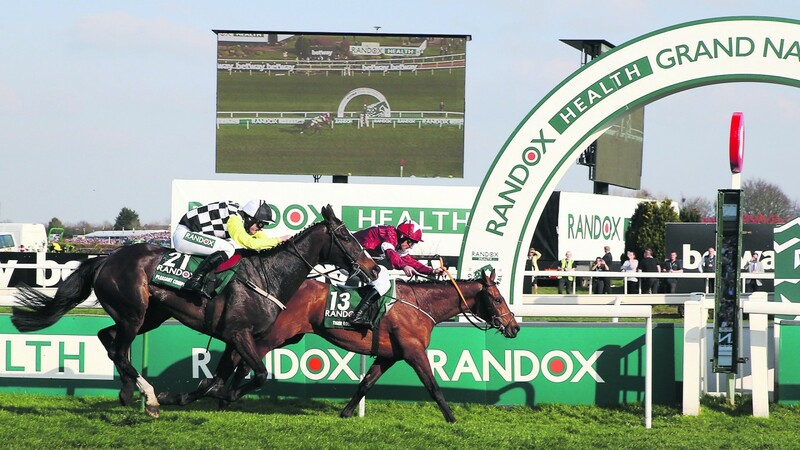 Times have changed and the media, including many organisations who will use the National’s appeal to sell papers and attract website visits in the run-up to the race, will train their sights on racing’s showpiece event. So how does racing defend itself if one horse dies on Saturday? Does that change if there are two fatalities? Or three? It is a question everyone who works in the sport or is passionate about it should ask themselves because if the heat is on as a consequence of the National’s excellent recent safety record having come to an end a strong and calm response will be needed. There have been ten equine deaths in the Grand National this century, the last being According To Pete and then Gold Cup champion Synchronised in 2012, since when six runnings of the race have taken place without loss of life. This is no happy coincidence. The fences have been softened, the distance reduced, and the early stages have been made less frenetic. Plenty of racing professionals scoffed at those alterations, using imbecilic phrases like “you might as well make it a bloody Flat race”, but the results have shown the wisdom of proactively making the National safer while managing to ensure it still looks as thrilling as ever to those for whom it is their only exposure to racing. This is what racing evangelists need to highlight should the proud recent record come to an end. We need to remind the world racing cares about its competitors, looks after them fantastically well from birth until death and makes a hugely positive contribution to the overall good of the equine world. Two years ago, on a warm, sunny afternoon on Merseyside, I witnessed from close quarters the incredible operation to cool down the runners as their exertions ended. Buckets of water were thrown around liberally but with pinpoint accuracy and horses were taken to machines that sprayed them with cold air. The Grand National, like any race, cannot guarantee a 100 per cent survival rate, and that would still be the case even if they did remove all the fences. But so much has been done to make it as safe as possible without sacrificing the essence of what has made it one of the world’s most amazing sporting events, and the positivity and validity of that message will hold true even if we lose runners on Saturday. Taking a more optimistic view of how the race will pan out, we have the possibility of a breakout superstar grabbing the headlines and making a new generation of people fall in love with racing. If Tiger Roll wins again he will suddenly hold the power that eluded even the likes of Frankel to force his way into the forefront of the mainstream sports agenda. At the age of nine he would have the scope to give a hat-trick bid a proper go and the benefits the sport would receive from that would be enormous. Every shrewdie in the world has made it clear in recent days they could not back this remarkable little horse at his current odds, but it is certain that plenty of people will and if he follows up last year’s triumph it will be an epic racing moment that will ensure the sport attracts the right kind of headlines. With the Masters starting five days after Aintree there could be a whole week of Tiger-mania. I shall be backing Mall Dini, but will gladly do my money if the reigning champion manages to roar again. Whatever happens though, there are still no more exhilarating nine minutes in the entire sporting world than the Grand National. If the shrewdies are turning their noses up at Tiger Roll, there is one bet they will be falling over themselves to have when the market opens later this year. Ole Gunnar Solskjaer will be a hugely popular wager for the 2019-20 Premier League sack race given the widespread sense of cynicism that has greeted his permanent appointment as Manchester United manager. While the fans gleefully sing that Ole is at the wheel there is a feeling elsewhere the success he has enjoyed since taking over from Jose Mourinho has largely been due to the simple fact that he is not Mourinho and that the players are therefore enjoying their football again. That is clearly an insult to Solskjaer. You can’t just turn up, smile and generally lift the gloom and expect results to improve as markedly they have. But against that there is not much else on his CV to suggest he has the tools to bring the glory days back to Old Trafford, and the wisdom of the appointment could look extremely questionable if Barcelona sweep aside United in the Champions League quarter-finals and they finish the campaign outside the top four. What happens between the final game of this season and the first assignment of next term will be crucial in determining how Solskjaer fares, with the task of keeping key players likely to be as important as recruiting new ones. Should David De Gea be persuaded to leave it will set them back significantly, but if he stays and the transfer budget is as lavish as the club’s wealth suggests it should be they can target key areas in which they are currently weak. A star centre-back, a decent right-back and a midfield rock are essential additions, and it will be interesting to see whether Solskjaer is able to attract the big names United need to bridge the gap between them, City and Liverpool. Betting on next season’s title race will appear in the coming weeks and United will surely be the hardest test for compilers. As for Solskjaer, they know that whatever price they put up there will be punters champing at the bit to back him to fail. The world is now such a strange place, with the line between fact and fiction so indecipherable, that the concept of April Fools jokes should fully and finally be consigned to history. Preposterous politicians speak such nonsense these days that it is impossible to tell parody from reality and, quite apart from that, virtually all April Fools attempts are feeble anyway. The only decent one I ever saw appeared in The Sporting Life in the early 1990s. I suspect Alastair Down was involved. We ran a story claiming a pair of rare birds had been discovered to have started nesting in the Canal Turn at Aintree, meaning the fence would need to be dolled off in the Grand National. This caused uproar, with one leading trainer contacting the course telling them to burn the fence to the ground rather than let the birds cause such disruption. It was good fun. Compare that to the pathetic offering from Fulham’s social-media team on Monday, when they circulated a picture of two of their players grinning away while holding shirts bearing what were apparently new-style numbers with a zero in front of the single digit, so Ryan Sessegnon went from shirt number 3 to 03. “We are delighted to confirm Fulham are set to become the first side in Premier League history to adopt double-digits on every shirt,” proclaimed the club’s official Twitter feed. Under normal circumstances this would have been a mildly amusing stunt, but given Fulham’s atrocious season it instead represented a foolish and ill-judged kick in the groin for their supporters. When you have lost nine successive league games and are on the eve of being relegated it’s a smart idea to pipe down and show a bit of sensitivity to those fans who have paid big money to watch an expensively assembled squad play so abysmally.